John became a Patron of Woodlands Hospice Charitable Trust in November 2003 and is very proactive in supporting and raising the awareness of the Hospice. John contributes in various ways and has, for many years, hosted the John Parrott Annual Golf Day in aid of the Hospice. He has also done a number of personal fundraising events to further assist income generation and has visited the Hospice on numerous occasions to visit patients including the event of the Royal Visit of Prince Edward in 2011. John has become one of Snooker’s most instantly recognisable faces and has done much to popularise the Sport - both on and off the table. 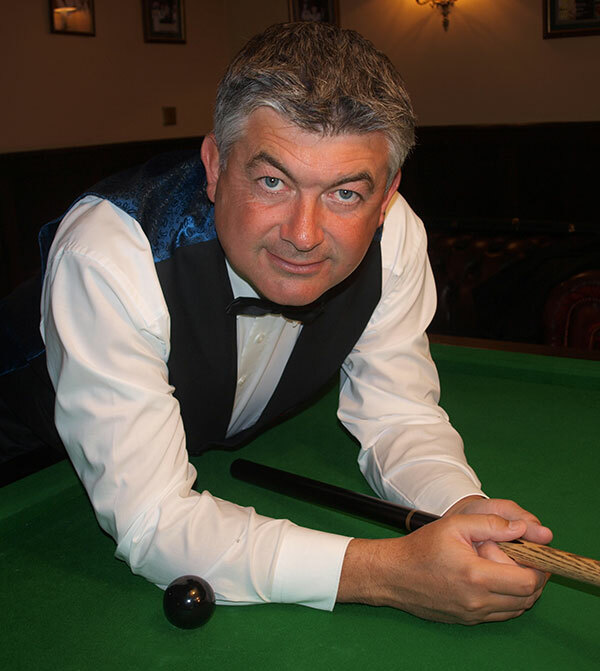 He has managed to juggle his position as a Snooker Professional with a successful television career, initially through his team Captaincy on the BBC’s ‘A Question of Sport' and more recently as a Presenter of televised Snooker Championships alongside fellow World Champion Steve Davis. On a more personal front, John is a Liverpudlian with that typical sense of humour. He has many other interests, one being a strong liking for horse racing, with his love of horses and the racing atmosphere. He supports Everton Football Club and is also a very keen golfer with a current Handicap of 3. He was awarded an MBE in 1996.